August 19, 2017 By This post may contain affiliate links. 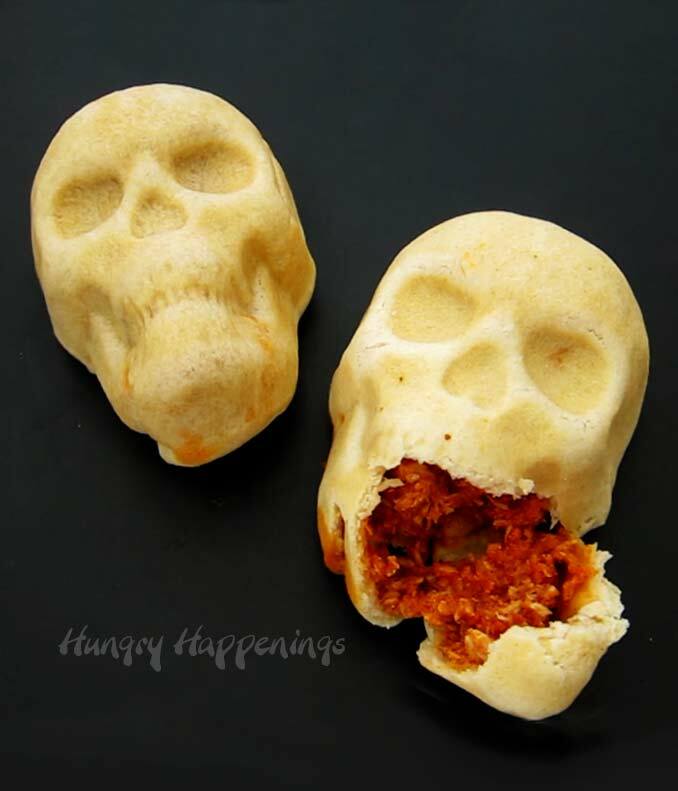 Bake up homemade tortillas filled with chicken, cheese, and enchilada sauce in a 3D pan to create these creepy Enchilada Skulls. 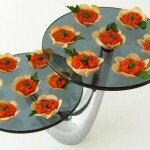 Your Halloween party guests or Day of the Dead dinner guests will be amazed. 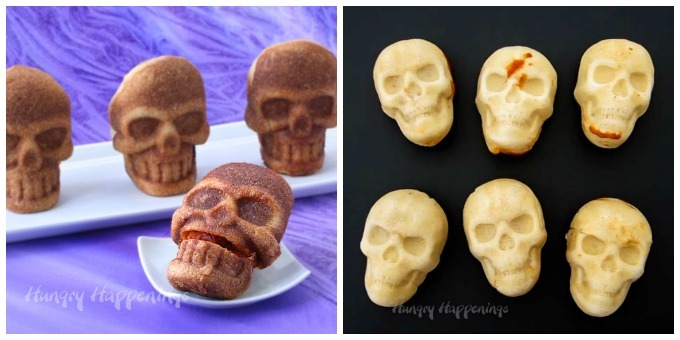 How cool are these Enchilada Skulls? They look so real. I can’t wait to serve them this year at a Halloween dinner. 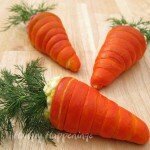 I have a group of food bloggers who will be visiting me in October and I want to serve a super impressive meal that is fairly easy to prepare but has a definite WOW factor to it. I decided to revisit an idea I used a few years ago to make Stuffed Pizza Skulls. They were so popular and so easy to make but I decided to change them up a bit to go with my Day of the Dead themed dining room. Turning them into enchilada skulls worked perfectly. 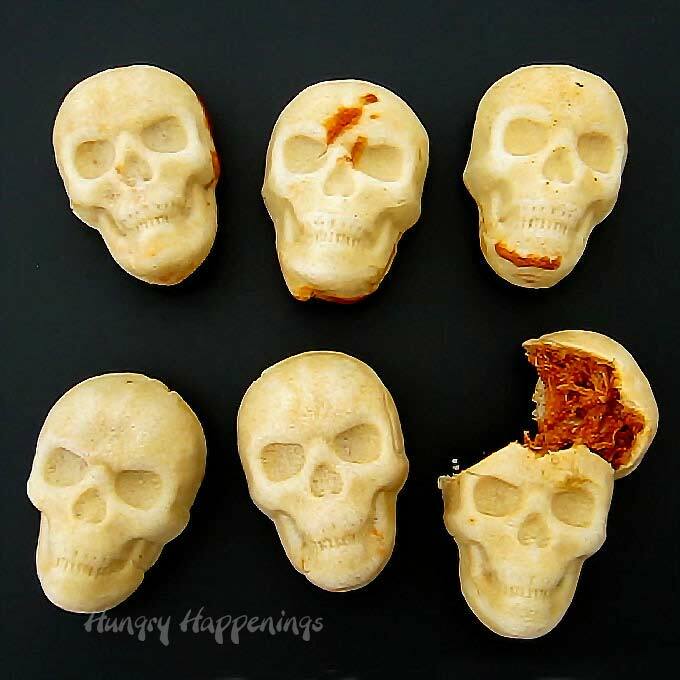 The pizza skulls were made using store bought pizza dough and were filled with pepperoni, sauce and cheese. They were made in a Wilton Skull Pan which is sadly no longer available. 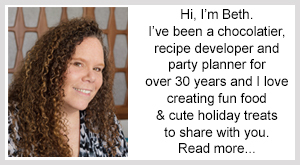 Being I wanted to be able to share this fun holiday recipe idea with you I decided to purchase a new Nordic Ware skull pan. I love it. It creates amazingly realistic looking skulls. 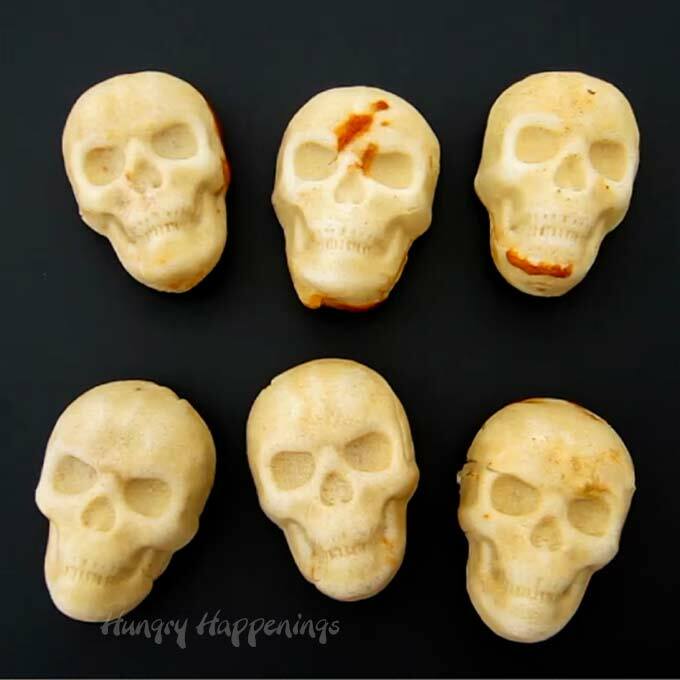 To make the enchilada skulls I knew I’d have to put in a tiny bit more effort because I don’t have access to store bought tortilla dough. It’s been years since I made homemade tortillas and I wasn’t even sure if the dough would work well in the pan. I was so excited that it did. Once baked the tortilla skulls looked like an aged skull. The off white color was perfect. They have a perfectly crispy texture. When you cut into the skull its cracks open and the red enchilada filling oozes out. It’s so cool! I used homemade enchilada sauce because I can control the spice. I have wimpy taste buds so I make my sauce really mild. Like things hot? Then throw in more spice. Want to keep if easy, use store bought sauce. Here is a video tutorial of the process including how I made the homemade tortillas. The recipe is below. You can find the skull pan and other items used to make these enchilada skulls at Amazon.com (commission earned for sales). Crispy skull shaped homemade tortillas filled with chicken, cheese, and enchilada sauce. Combine flour, baking powder, and salt in a mixing bowl and blend with a fork or whisk. Add half of the lard and use a pastry cutter to cut the lard into the flour. Add the remaining lard and continue to cut it into the flour until it resembles coarse crumbs. Slowly pour in the water stirring as you go until the dough comes together. Add at least ¾ of a cup of the water then only add any remaining water as needed. You want the dough to come together in a cohesive ball and not be sticky. Cover the dough and set aside for 10-20 minutes. Stir together the chicken, enchilada sauce and cheese. Cut the dough into 6 equal portions. Roll out a portion of dough thinning out the edges. Drape the dough over one skull in a 6 cavity non-stick pan allowing the dough to form the skull shape. Spoon in 1/6th of the chicken mixture. Whisk together the egg and water. Brush the top edge of the dough that hangs over the edge of the skull. Fold the dough over the chicken, cutting off any excess dough and pinching the seams together. Repeat filling all 6 skull cavities in the pan. Bake for 24-26 minutes until the top crust starts to turn light golden brown. Remove and let cool in pan for 5 minutes. Place a cutting board over the skulls and carefully flip the pan and board upside down so the skulls gently fall out onto the cutting board. Rich tomato based enchilada sauce spiced with cumin, Corriander, and Chili Powder. Heat oil in a skillet set over medium high heat just until shimmering. Add shallot and stir occasionally until light golden brown. Stir together garlic, chili powder, coriander, cumin, salt, and sugar. Add to cooked shallots and stir constantly for about 30 seconds, until fragrant. Pour in the tomato sauce. Bring to a boil, then reduce heat to low and cook for 8 minutes, stirring as needed. Remove from heat and use in your favorite enchilada recipe. 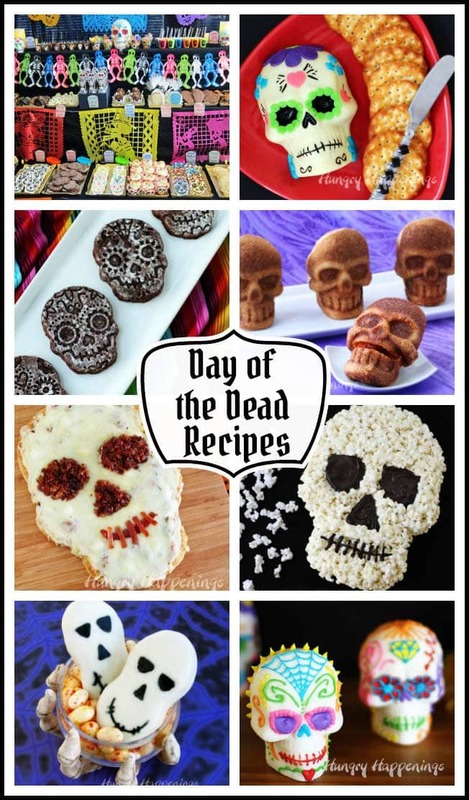 If you are hosting a Dia de los Muertos party or want some skulls shaped food ideas for your Halloween party be sure to check out all these fun Day of the Dead Recipes. Have fun making your Enchilada Skulls. 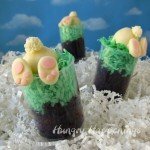 If you take any pictures to share online be sure to mention Hungry Happenings, link back to this recipe post, and use the hashtag #hungryhappenings . If you’d like to be featured in my Readers’ Gallery, send your picture to beth@hungryhappenings.com. 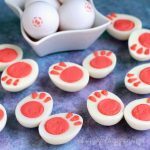 Click on this link to find more of my great Halloween recipes! These are so creepy and cool at the same time, maybe I should have a party just to serve them!! I definitely think you should have a Halloween party! Sure wish this recipe could work with store bought flour tortillas What do u think ? Sadly store bought tortillas won’t sink down into the skull pan well enough to form the skull shape. You need fresh dough. You can use prepared pizza dough or crescent dough if you don’t want to make your own dough. 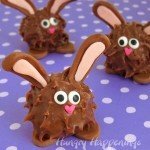 Can you make these and freeze them to bake later? You would need to freeze them in the pan so when they are baked they will have the shape of the skull. I would personally bake them, then remove them from the pan, then reheat them before serving. I have refrigerated them and reheated them at 350 degrees for about 15 minutes. 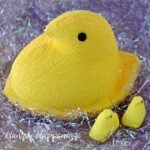 If you heat them from frozen it would probably take about 25 minutes to reheat them.